Home / Is Your Website Ugly? 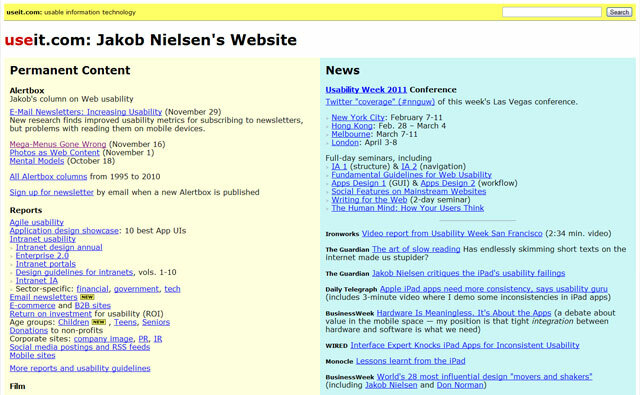 Web usability guru, Jacob Nielsen’s website. 10 minutes on his site and you’ll want to gouge out your eyes. Your website is the public face of your business or organisation. In today’s world the first time many of your potential customers will come in contact with your business is a visit to your website. It’s highly unlikely that your business premises are deliberately ugly (with the possible exception of car repair shops where the aesthetic seems to be the reverse – the uglier the premises, the better the work?) so why settle for an unattractive website. If your business doesn’t have any physical premises, such as my own, then an attractive website is even more critical. You don’t hang an ugly sign outside your premises or deliberately use unattractive advertising so it’s important to present your business to the online world in the most attractive way possible. Regardless of our opinions on the right or wrong of it, people do judge by appearances. Usability First. Genuinely usable. Attractive and functional. It’s more than just a coat of paint. There is more to an effective website than just the physical appearance. If I may use an analogy, consider the difference between an attractive person with a sneer on their face and that same person with a smile on their face; same face but different attitude. The same principle applies to your website. 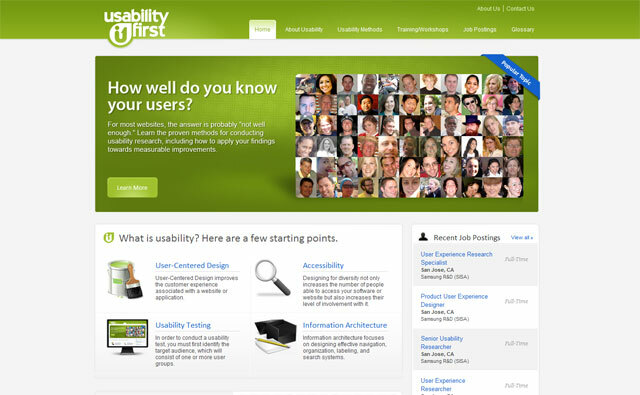 You need to have an attractive and welcoming design and layout. How you present your business to potential, and existing, customers is not just about aesthetics. You need to make sure that visitors to your site find both aesthetically pleasing, welcoming and functional. The content of your site, in particular your home page, needs to be focused on convincing the visitor that your business will fulfil their requirements. A functional website with all the information laid out in an attractive and easy to read manner is the first step in securing a new customer for your products or services. To achieve this you need to use a professional web designer. A good designer doesn’t just produce “pretty pictures”. A good designer considers every aspect of your business or organisation and how best to project that to the world.